The central government-backed incumbent Atsushi Sakima clinched a second term in the Ginowan mayoral election on Jan. 24, defeating the only rival candidate supported by Okinawa Gov. Takeshi Onaga in what was called a "proxy battle" between Prime Minister Shinzo Abe's administration and Onaga over the relocation of a key U.S. military base. The Abe government has insisted that the relocation of U.S. Marine Corps Air Station Futenma to the Henoko district of the Okinawa Prefecture city of Nago is the "only solution" to remove the danger posed by the Futenma airfield situated in a densely populated area and to avoid a permanent fixation of the facility there. It is likely that the Abe administration will intensify such assertions now that the incumbent mayor has beaten the Okinawa governor-backed candidate opposed to the Henoko relocation plan. Mind you, the results of the mayoral election are simply a manifestation of residents' wishes for the reversion of the Futenma station -- called the "world's most dangerous base" -- at the earliest date possible. It makes no sense for the government to take the election results as an endorsement of the Henoko relocation. During the election campaign, Mayor Sakima withheld from clarifying his stance toward the Henoko transfer plan, instead calling for early removal of the Futenma air station and prevention of its permanent fixation there. He tactfully made sure the relocation issue did not become the focal point of contention while highlighting his advantage as an incumbent and advocating economic promotional measures capitalizing on his ties with the central government and ruling parties. 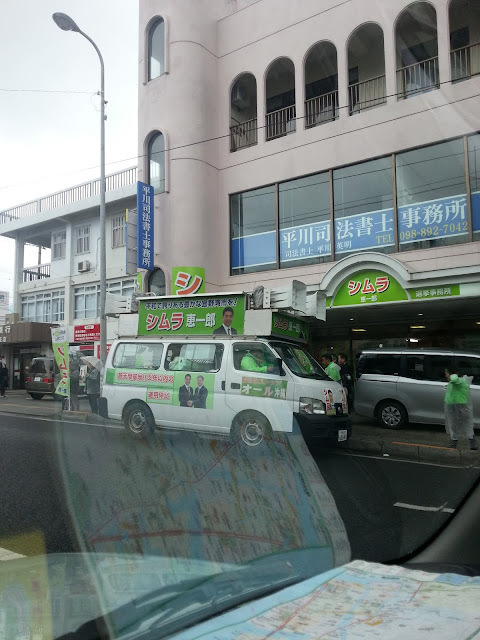 Sakima was endorsed by the Liberal Democratic Party and Komeito, with the central government offering full support. Chief Cabinet Secretary Yoshihide Suga pledged support to a plan proposed by Sakima to invite a Disney resort to replace the Futenma station, and announced reversion of some land at the Futenma facility ahead of schedule. Sakima's opponent, Keiichiro Shimura, was a fresh candidate backed by the Japanese Communist Party and the Social Democratic Party -- both ruling parties in the Okinawa Prefectural Assembly -- as well as some conservative local legislators. Shimura advocated against the Henoko transfer plan and called for the unconditional shutdown and reversion of the Futenma facility at an early date. "Should he lose the election by any chance, it would be publicized in Tokyo with a magnitude of 100 times or even 200 times that Okinawa residents' objection to the Henoko relocation has vanished," Gov. Onaga had said earlier this month. 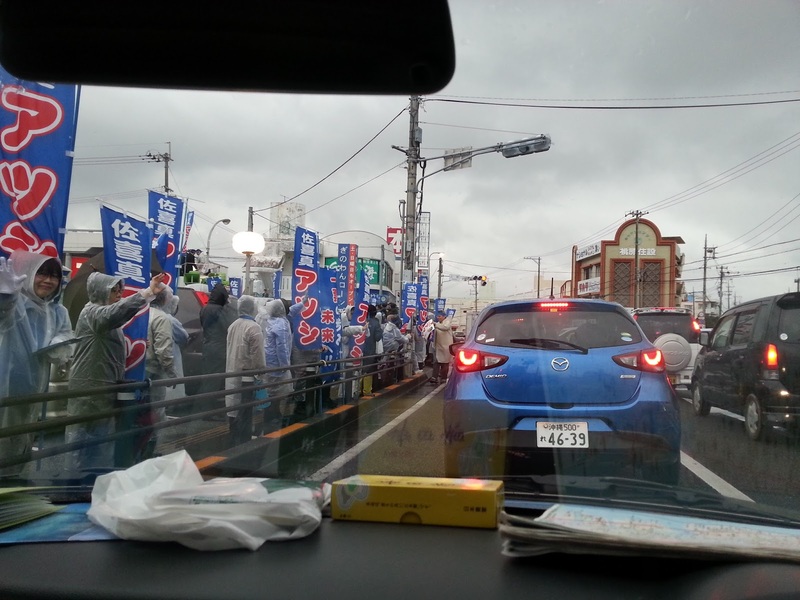 The Futenma airstrip sits in crowded central Ginowan, and local residents are strongly in favor of its early removal. Aside from Futenma, the city is also plagued by a plethora of issues closely linked to residents' daily lives. There must have been many who voted for Sakima in the hope that he would take steps to resolve administrative challenges that directly affect their lives -- all the more because he adamantly skirted around the Henoko relocation agenda. In the meantime, Shimura managed to gain a certain amount of votes in the face of an all-out battle waged by the Abe administration, a fact indicating residents' sense of resistance toward Futenma's relocation within the prefecture while pushing for its reversion as their natural right. 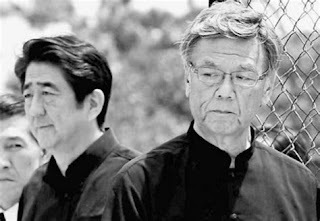 In Okinawa Prefecture, the anti-Henoko relocation camp won the Nago mayoral election, Okinawa gubernatorial election and the House of Representatives election in 2014. The fact that the Okinawa governor and the mayor of Nago -- the planned host of the Futenma replacement facility -- are against the Henoko relocation remains unchanged. The Henoko dispute is also set to be contested in the Okinawa Prefectural Assembly election in June and the House of Councillors election this summer, while the court battle over the issue between Tokyo and Naha continues. The central government should not exploit the Ginowan election results in forcing through the relocation work any further.